Masshole Sports: FINAL: Red Sox 8 Mariners 7. The Red Sox Won On A Yet Another Walkoff And Now Have The Most Wins In MLB...And I Have A Pants Tent Of Epic Proportions. FINAL: Red Sox 8 Mariners 7. The Red Sox Won On A Yet Another Walkoff And Now Have The Most Wins In MLB...And I Have A Pants Tent Of Epic Proportions. This team is just un friggin real. They were down 7-1 at one point in this game and they were down five runs in the 9th inning and actually came back to win that game. Holy mother of Christ, this team is resilient. This was their 11th walkoff win of the season and their second of the day. Let that sink in for a second. 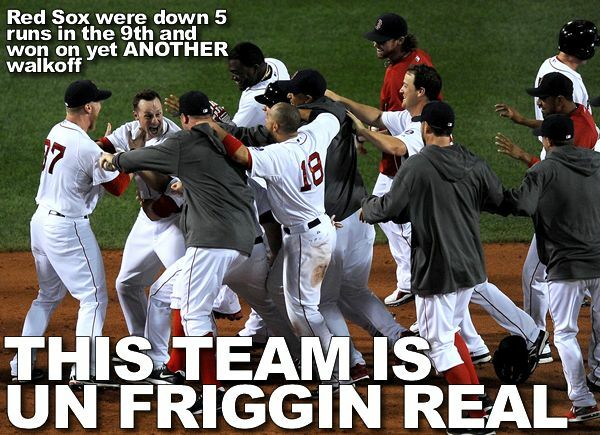 This Red Sox team has confidence, they have swagger and they have balls. 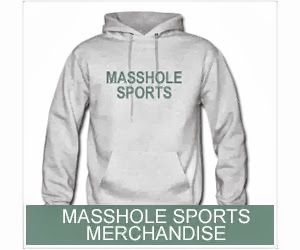 I mean, Bobby Valentine's Red Sox would have thrown in the towel when they were down 7-1 and then bitched and moaned and pointed fingers after the game. This team is something special. Anyway, about the game. Felix Hernandez was great, pitching seven full innings and allowing only one run and striking out eight. Ryan Dempster sucked, allowed seven runs in six innings but it didnt matter. In the bottom of the 9th , the Mariners had to use three relievers as the Red Sox slowly chipped away at their 7-2 lead and eventually Daniel Nava won it with an RBI single to center field off of Oliver Perez to finish off the four game sweep. The Tampon Bay Rays didnt play, so the Red Sox now have a full one game lead in the AL East and more wins than any other team in Major League Baseball. You read that correctly, it is August 2nd and the Boston Red Sox have more wins than anyone in all of baseball...and I have a pants tent of epic proportions.